Manuela Escobar grew up like a princess being the only daughter of her father. Pablo Escobar gave her everything she has ever imagined, but little did she know that a good name is better than riches. She was the apple of his eyes and to her; he was the best dad in the whole world. Change is constant in life, if her father was to be alive, Manuela would have got the whole world to crumble at her feet. Unfortunately, his sudden demise changed everything. Who is Manuela Escobar, the Daughter of Pablo Escobar? Manuela Escobar is the daughter of the notorious Colombian drug lord Pablo Escobar otherwise known as “The King of Cocaine.” Her father was considered as the wealthiest criminal in history with a whopping net worth of $30 billion which made him the richest man in the world during the ‘90s. At the time, his drug cartel reportedly supplies up to 80% of the cocaine found in the United States which in turn yields him an annual income of $21.9 billion. Despite being a Narco-terrorist and a drug trafficker, Pablo is equally a good father and a wonderful husband to his wife Maria. Read on, let’s dig into Manuela’s bio and wiki below. The charming princess was born in Medellin, Colombia on May 25, 1984. Her father like we earlier stated is the famous drug lord Pablo Escobar while her mother is Maria Victoria Henao. She has a brother named Juan Escobar who later changed his name to Sebastian Marroquin. Manuela and her brother Juan experienced an overwhelming childhood; they were often regarded as spoiled children of their father. Pablo spends lavishly on them, on one occasion he reportedly burned $2 million just to keep his princess warm when she was sick. He can go to any length just to fulfill the wishes of his children as long as they are things money can buy. 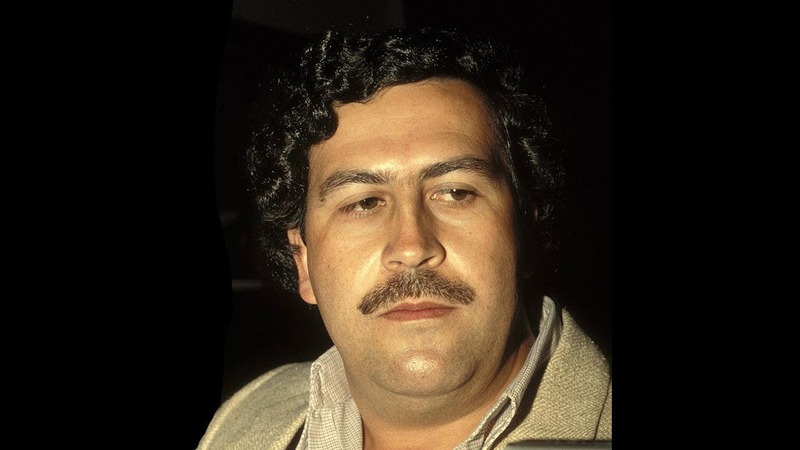 Considering the nature of his business, Escobar was always hiding from his enemies and this endangered the lives of his family members. It was difficult for his children to attend public schools, rather he arranged a private tutor for them. The extravagant life of the fairy princess abruptly came to an end following her father’s demise in 1993. At the time, Manuela was just nine years old and her brother Juan was sixteen. The most wanted drug lord became sought after by the authorities of many countries. On one occasion when he put a call through to his son, he was tracked and killed in one of his hideouts in Medellin. With the news of Escobar’s death, Manuela along with her mother and brother fled the city. In order to save their lives, they went into exile far away from their native country Colombia. They first went to Mozambique and finally settled in Buenos Aires, Argentina where they later became citizens. They also lived in other countries including Brazil, South Africa, Peru, and Ecuador. Life wasn’t the same anymore for Manuela and her family. They lived in fear and great difficulties with new identities. Manuela’s name became Juana Manuela Marroquin Santos while her mother’s name changed to Maria Isabel Santos Caballero. Her brother Juan now bears Sebastian Marroquin. When life started normalizing for them, Manuela started going to school with his brother while their mother gradually became a successful real estate broker. One of her mother’s business associates discovered her real identity which led to her incarceration for about a year and a half. After investigations, Maria was released and once again, Manuela was affected emotionally. She opted out of school and started receiving lessons at home. Her brother also continued to study and later obtained a bachelor’s degree in architecture. Having a terrible experience just like Manuela Escobar could contribute to incurable emotional problems and living in fear. Since her father’s death, she has continued to live a secluded life and doesn’t want any sort of publicity. While her mother and brother have spoken to the media a couple of times, Manuela has kept a low profile to date. She doesn’t have any social media accounts and there are no details about her subsequent endeavors. In a bid to right the wrongs of their father, her brother produced a documentary titled Sins of My father in 2009. He used it as an avenue to reconcile and end the hatred people had for his father. Additionally, he authored a book titled Pablo Escobar: My Father that was released in 2014. He also owns a clothing line called Escobar Henao and has dedicated part of his wealth to Colombian charities including his father’s victims.